"Different Drummer" needs a new home. 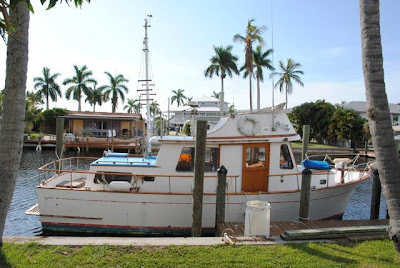 This 1974 Marine Trader Aft Cabin is a solid boat that has sailed the Great Loop three times in her life. Powered by a single Lehman 120hp diesel along with a Westerbeke 3KW generator, she's fuel efficient and easy to maintain. She also has air conditioning and cabin heat. This is a running boat that might need some mechanical attention and extensive but not impossible cabin work to make a great liveaboard or family cruiser. You can see her full specs and a lot more photos by clicking here. Her owner is motivated to sell and this boat is priced to move at $15,500. She is currently docked in Matlacha, FL. 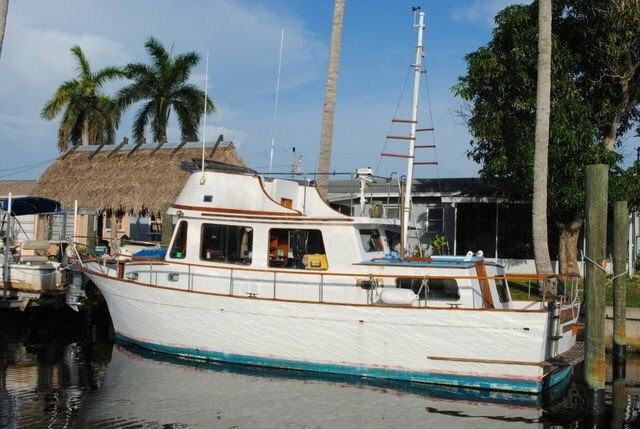 If you have any questions about this Marine Trader or would like to see it feel free to call me at (239)565-2960.